Jute is the second most important vegetable fiber next to cotton. Jute is used chiefly to make cloth for wrapping bales of raw cotton, and to make sacks and coarse cloth. The fibers are also woven into curtains, chair coverings, carpets, area rugs, hessian cloth, and backing for linoleum. Jute is a natural, long and soft vegetable fiber with golden silky shine, also termed as “ The Golden Fiber ”. It can be spun into coarse and strong threads. 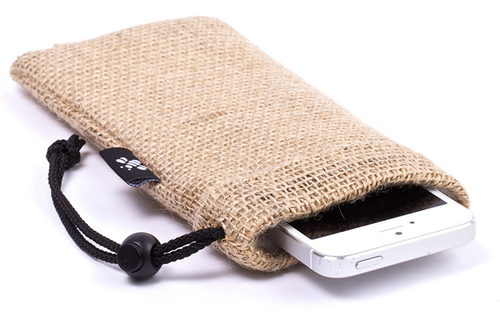 This fabric is also known as hessian and burlap. The very fine threads of jute can be separated out and made into an imitation silk. India is one of the largest producer of jute in the world. The prime goods woven of jute in India were coarse packaging materials, farmer market bags, grocery bags, shopping bags and floor mats, ropes and twines. 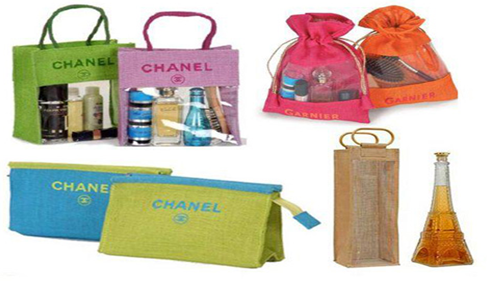 Being among the strong and durable fabric, jute fabric is ideally being used as bags or sacks for packing since aging. The jute fabric is much soughed item for fashionable clothes, home furnishing and fashion accessories. 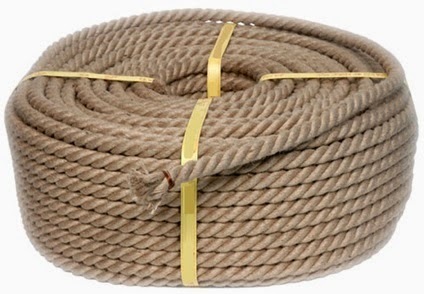 The most important use of the jute fabric is in the manufacturing of carpets, linoleum, cordage and twines. It is sometimes used as webbing to cover inner springs of the auto seats. Sometimes used as fashion accessory used for fashion garments, tapestries, soft luggage, etc. Besides piece of furniture made from other popular wood types, Jute furniture is also favored by consumers all around the world. 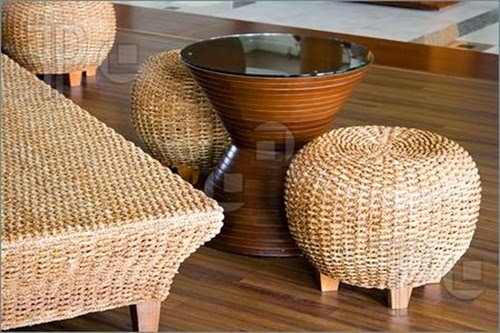 The furniture made from Jute doesn't only look good, but can also enhance the area of your living room or drawing room. Jute made furniture has a number of striking features. This makes it an perfect choice for making long-lasting and hard-wearing furniture. Jute furniture is natural, captivating and highly stylish and is acquirable all over, in a number of various designs as well as styles. 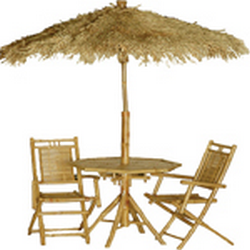 Today, there many renowned manufacturers, suppliers and exporters of Jute furniture across the globe. Also, nowadays, there are various Marketing Agents and wholesale & retail stores from where various exclusive range of Jute furniture can be easily availed by the customers. On top of all that, such furniture can also stay longer without any heavy maintenance or cleaning. Even without any added chemical substance, Jute has the quality to be very immune against water damage and, unlike other materials; there is no point forming into any sort of rust. It is very easy to clean and will rarely need any additional care in order to keep it safe. While this makes Jute furniture perfect for outdoor surroundings such as your backyard or terrace, it is also gives a beautiful touch to any area you are looking to beautify within your home or cottage. Furniture made from jute is less expensive, and is pleasing to the eye and durable and can incorporate new designs. Normally middle class and low-income groups of people can easily use Jute made furniture. Therefore, the demand for such furniture is increasing rapidly in the global market. Characteristic : Environmental,economical, slub, rough ,eco-friendly, Moisture-Absorbent.